Balfour Beatty VINCI is responsible for designing and building part of the most exciting and challenging railway project in Europe: HS2. 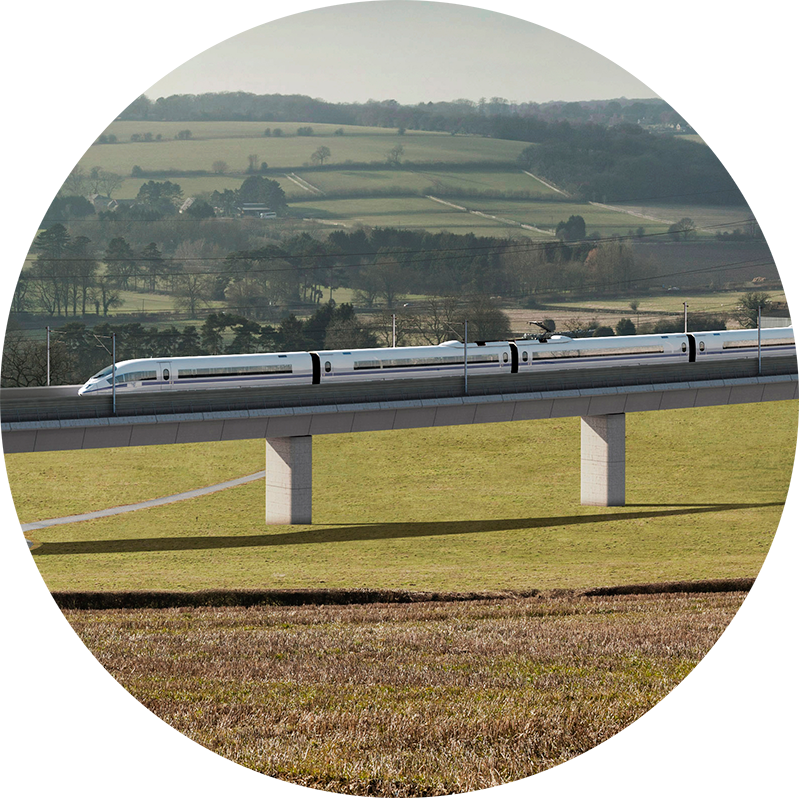 We are building the West Midlands section of HS2’s Phase One route, spanning approximately 80km from Long Itchington in Warwickshire to the centre of Birmingham and on to Handsacre in Staffordshire. We will be employing thousands of people in the area to design and build the civil infrastructure for HS2 through the West Midlands area. Could you help us build this civil infrastructure including? Building four motorway crossings requiring box structures and six interfaces with the existing rail requiring both dive-under and overbridge structures. We designed, supplied, constructed and commissioned eight new auto-transformer sites and associated overhead line electrification works to power distribution connections. Works included the installation of substation buildings, switchgear and associated ancillary equipment as well as integration testing and commissioning in conjunction with Network Rail. To minimise disruption to services using existing infrastructure, we clearly defined our commissioning strategy at an early stage to ensure full integration between design, construction and commissioning works. C510 is one of the major tunnel contracts for Europe’s largest infrastructure scheme. When completed, Crossrail will be a new, heavy-duty suburban rail service for London and the South-East which will connect the City of London, Canary Wharf, the West End and Heathrow Airport to commuter areas east and west of the capital. 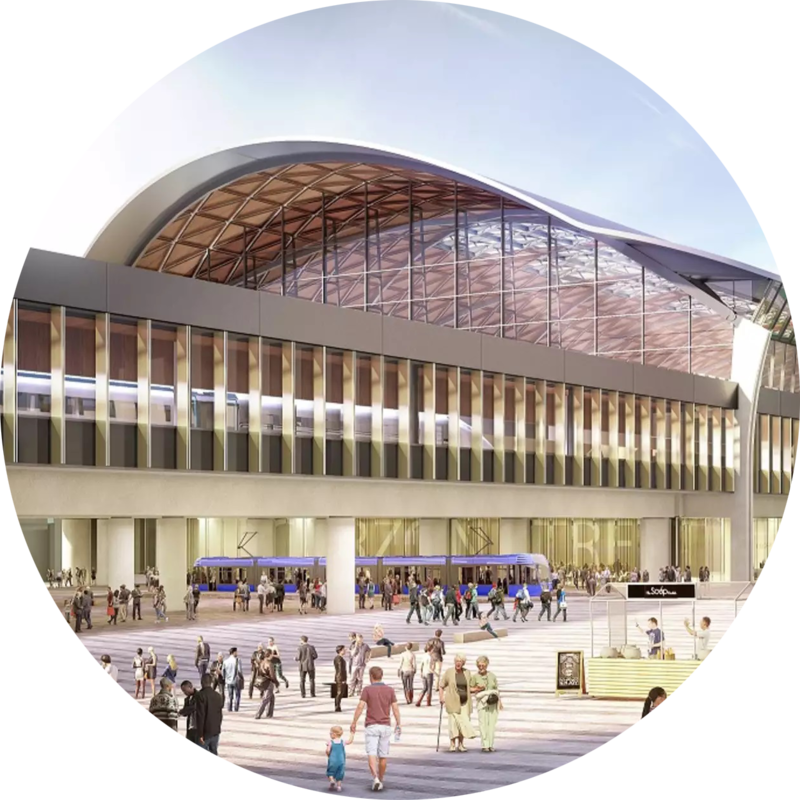 As part of the Crossrail project, this contract includes the demolition of the existing Whitechapel station, construction of a new ticket hall, platform upgrades and the construction of a new station. Shafts and platforms for Crossrail tunnels as well as related architecture and mechanical and electrical infrastructure is also included in the works. The installation of new overhead line electrification equipment on all lines between Stockley Junction and Maidenhead in preparation for the start of the new Elizabeth line trains coming into service in 2019. The first major milestone of the project was the electrified passenger service from Maidenhead to London Paddington to provide a cleaner, faster and more efficient journey for passengers. The contract to complete and fit-out the new Crossrail station at Woolwich will provide quicker, easier and more convenient travel for commuters to a range of destinations across London and the South East. Works include designing, fitting-out and handing over the new station as well as installing plant and finishing works at the two portals where the Crossrail trains will surface. The Crossrail West Stations project is a design and build contract for 13 different sites stretching along the existing Great Western Railway network, from Acton Main Line to Maidenhead station. Each of the stations along the line is being modified to accommodate the new nine-carriage, 200m long, Elizabeth line trains, which are significantly longer than the existing trains running along the route. 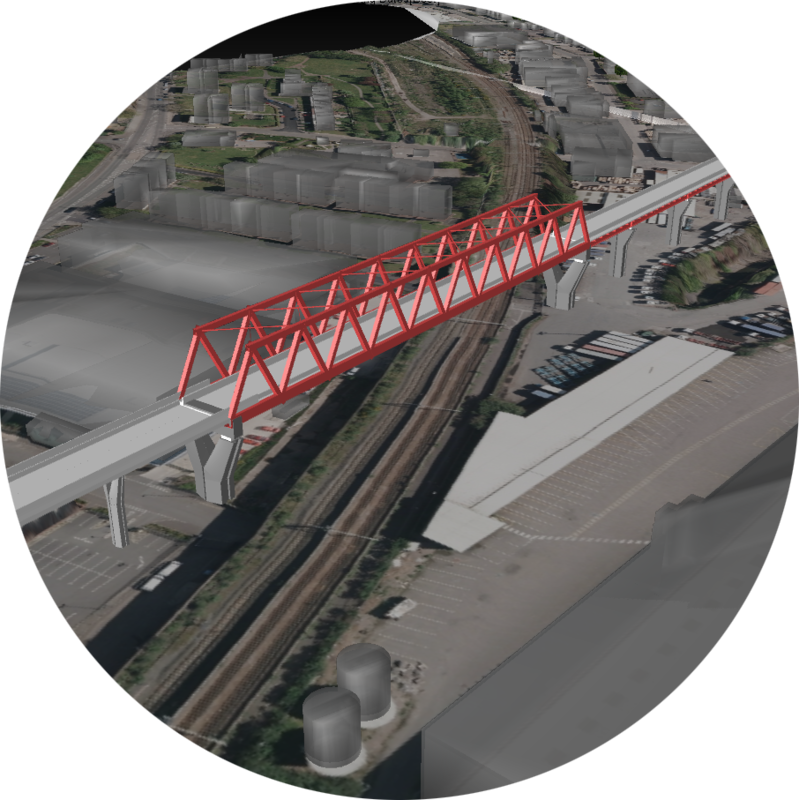 The project scope includes extending platforms, modifying station canopies, installing footbridges and upgrading power supplies, mechanical and electrical equipment, station information and surveillance systems. The SEA Tours–Bordeaux high-speed line has been dubbed the project of the century – fittingly so on account of the project’s sheer size, with 9,000 people mobilised at the project’s peak. The civil engineering phase involved 1,600 highly specialised machines moving over 100 million cubic metres of excavated and backfill materials, the building of 500 tunnels and bridges and 10 inter-connections to existing rail lines. Cutting-edge techniques were used to build the various engineering structures, such as ‘self-sinking’, which involves building structures alongside their target location and then pushing them into their final position with hydraulic jacks to minimise traffic disruptions. Dynamic tests began in June 2016, when the catenary was powered up (2 x 25,000 volts) on the 120km section between Mondion and Luxé. That September, the two remaining sections, north of Mondion and south of Luxé, were electrified to complete the tests on the entire line. As part of the Channel Tunnel Rail Link programme of works, these three contracts included the construction of the 3km-long single-tube North Downs tunnel and the 1.3km-long Medway Viaduct that with a 152-metre central span was a world record at the time for high-speed rail crossings. The works packages also included a 13.8km new section including a 1.025km incrementally launched bridge and two viaducts (675m and 454m, respectively). Contract 440 was for the easternmost 16km section of the Channel Tunnel Rail Link, extending from Ashford to the Eurotunnel site in Folkestone. The works included the construction of 22 bridges, two cut and cover tunnels, 12 retaining walls and 1.7 million cubic metres of earthworks. Two Grade II listed buildings were relocated and the East Stour River diverted as part of the works. The installation of a 65km electricity cable between France and Great Britain, passing through the Channel Tunnel, will be the first time that a high voltage direct current interconnector has been installed in a live rail tunnel. With a capacity of 1GW, the ElecLink interconnector will provide enough energy to power more than 1.65 million households per year and helps both countries to meet their current and future energy needs. It could also support the development of Europe’s ‘super grid’, a potential project that would lower the cost of power by allowing the entire region to share costs of creating and distribution energy. We are converting an 18km-long section of the M5 between Bromsgrove and Worcester into a Smart Motorway. The programme of works will upgrade the existing motorway infrastructure to be ‘all lane running’ – adding extra capacity, without widening, by making “smart” use of the hard shoulder and introducing variable speed limits. The upgrade of the 51km section of the M4 from Cranford Park to Theale to Smart Motorway includes the construction of 11 new overbridges and a five-lane motorway around Heathrow, from Junction 4 to 4b. It will also see concrete barriers constructed along the length of the project. The new section of Smart Motorway from Coventry to Coleshill will provide greater traffic capacity and more reliable journey times by improving the flow of traffic along a busy stretch of motorway. The section of motorway being upgraded is of strategic importance as it links the proposed site for the new HS2 Birmingham Interchange to the region’s motorway network. The 30-year design, build, finance and operate contract for the M25, one of the UK’s busiest and most important roads, includes the delivery of improvements and increased capacity as well as the whole lifecycle management of the various assets that make up the main orbital route around London. The Hindhead Tunnel is the longest under-land road tunnel in the UK. Its construction allowed the Devil’s Punch Bowl, a site of special scientific interest, to be returned to its natural state. Through early involvement in the planning and design of the 6.8km two-lane carriageway and tunnel we achieved 62% local employment and addressed environmental concerns at the right time. Opened in December 2015, this scheme improves access between the towns of Bexhill and Hastings, opening up north Bexhill for development, boosting the local economy and promoting regeneration whilst reducing traffic congestion and pollution in the towns. The first 1.4km of the 5.5km long scheme passes through an urban area along the path of an abandoned railway line. The remainder runs through rural areas of high profile environment and diverse ecology as well as public amenity. The complex engineering and innovation required to construct this road though flood plains and poor ground conditions were shortlisted for ICE Engineering Excellence awards. Balfour Beatty and VINCI are delivery partners for London’s new super sewer working on the West and East sections respectively. The 25km interception, storage and transfer tunnel, which will run underneath the River Thames, is being constructed to tackle the problem of overflows from the capital’s Victorian sewers for at least the next 100 years. Balfour Beatty installed high voltage electricity cables for National Grid’s London Power Tunnels project. This project rewired the capital via deep underground tunnels, in order to ensure London’s electricity needs continue to be met and that the city can access the renewable energy sources of the future. The project connects several substations around the city via tunnels at depths of up to 60m below the surface. We delivered project development, design, material provision and installation of a 200km, double circuit, 400kV overhead electricity transmission line and associated civil and access works. This included the construction of temporary access roads and associated improvements to some private roads. The project replaced an existing 132kV overhead transmission line that was dismantled during the contract period with existing sites reinstated. The Lee Tunnel project includes the design and construction of a 6.9km long, 7.2m internal diameter, storage tunnel for combined stormwater and sewage. Located between Abbey Mills pumping station and Beckton sewage treatment works, it is Thames Water’s largest ever infrastructure project, it is in fact the first section of the London Tideway Tunnels programme to eliminate sewage and stormwater discharges into the River Thames that currently occur under mild rain conditions. The Lee Tunnel reduces the total sewage and stormwater discharges to the River Thames by 40% and at 75m below ground, it is the deepest tunnel in London. We have secured the contract for the design and installation of circa. 76,000 cables, totalling over 3,000km in length, across both proposed Hinkley Point C units. The works package also includes 180km of cable containment support systems, fire and environmental sealing, design and installation of earthing systems as well as specialist packages associated with data acquisition and plant control. Both Balfour Beatty and VINCI are currently on-site at the nuclear facility delivering a new silo maintenance facility and a silos direct encapsulation plant respectively. Balfour Beatty, working with joint venture partners, is also sole supplier on a framework to provide a new nuclear waste processing plant.